Physician and nurse investigators who want to conduct research using our products are invited to request support through our Investigator-Initiated Studies (IIS) Program. We offer funding and/or product support for original clinical research in therapeutic areas that are of mutual interest. The IIS Program evaluates unsolicited requests for clinical research funding and follows approved research studies from proposal initiation through project completion. The IIS Program is open to qualified clinical investigators who are interested in independently planning, designing, sponsoring, executing, and publishing their own research. Support for IIS research and associated publication efforts (posters, manuscript development, etc.) may include the provision of funding, product, education, statistical analysis, medical writing, study monitoring, and many other aspects involved in the conduct of clinical research studies and publications efforts. Such support varies and a decision is made by a committee of experts through formal review of proposals. Proposals may be initiated by first submitting an Investigator-Initiated Studies Request for Support Form (IISRSF), located below. After the IISRSF is received and reviewed, you will be contacted by a member of our clinical research group (within the Department of Clinical Affairs). Your proposal will undergo a formal internal review prior to a final decision. We welcome your submissions throughout each calendar year; final decisions are made on quarterly basis. In addition to the online IISRSF, we ask that you plan to participate in discussions (via conference call or webinar) to assess your proposal in further detail. 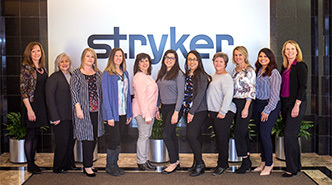 Further information regarding our process can be obtained directly via contact with the clinical research group: clinres@stryker.com. Please do not hesitate to contact us if you have any questions.